The most popular regular form of gambling throughout the world, playing the one arm bandit is such a part of the cultural landscape of gaming and gambling it is easy to forget that this is also one of the newest ways we have of trying our luck in the hope of a quick return. Technology dependent as ever, it was not until the latter part of the 19th century that the mechanism for generating winning combinations from spinning reels was devised and after becoming quickly established has developed into the universal phenomenon it is today. The first one armed bandits created were called the Liberty Bell and the bell symbol is still used as one of the defining characteristics of the gameplay. Its nickname of the one arm bandit is however more recognised and derives from the action of pulling a lever on the side of the machine to start the reels spinning. This lever is the 'one arm' with the 'bandit' reference being the somewhat self explanatory way in which a brief encounter with the machine could leave a player penniless. The one arm bandit has come a long way since the early days with the arm these days being purely for show, if present at all, and the mechanism of the machine determined by computer programming rather than gears and reels. Cash has generally been replaced by tokens and even by card systems in the major casinos. The principle however remains the same with the point being to generate a winning combination of symbols which will payout a certain predetermined amount. 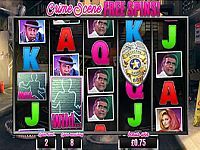 Such is the popularity of these machines that they generate up to 70% of the income at casinos and are found everywhere where people with gather for any amount of time, such as airports, cafes, pubs, bookmakers and holiday destinations. Given that the machines have always had that 'bandit' tag and generate so much income it is perhaps surprising that they are so popular but this is down to the gameplay itself. 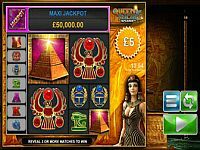 Generating instant returns is always a good bet for gaming and an essential part of the experience is frequent albeit small wins. This encourages further gameplay in which a major win or jackpot is a possibility. Modern machines also have additional features which introduce a perceived element of skill using hold functions for certain reels at certain times and offering bonuses for certain plays. The one armed bandit has many other names and colloquial references, most commonly fruit machines, which dates back to a time when establishments could get round gambling legislation by offering fruit and candy as prizes, rather than cash. The traditional fruit and BAR symbols in machines today come from this period. With virtual reels in the form of computer graphics in modern machines the symbols can be anything and often follow a certain theme for entertainment purposes such as movie stars or cartoon characters. Although some machines incorporate elements of user control over the result, payouts are pure probability and games available are classic games of chance. In the old mechanical days with three reels, each containing ten symbols, there were 1000 possible combinations of any three consecutive symbols in the winning line. 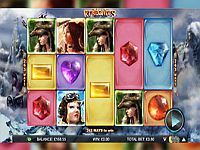 While this meant the kind of frequent payouts which make playing fun, large jackpot payouts were not a feature since even the rarest combination would occur once in every 1000 attempts. The first electronic machines had certain symbols weighed more than others which allowed for comparatively unlikely combinations and so bigger jackpots. The latest machines employ no moving parts at all and computer algorithms now dictate the combinations. Often now with 5 virtual reels containing up to 50 symbols each there is no need for an uneven distribution of certain symbols but merely a predetermined probability of the appearance of certain symbols. This increases the excitement of gameplay too by generating close calls, where the symbol you want in a certain reel is only one away. With the possible combinations now into the 100s of millions, massive jackpot payouts are possible, although extremely rare. Just as technology improves the gameplay by offering more options, higher interactivity and great graphics, it also makes it harder to predict outcomes and beat the system. While there is a predetermined sequence of events programmed into the machine, random number generators are used which make it impossible to predict future events based on previous plays. This is because the latest machines generate the random number sequences even when not being played and so even if a player knew the sequence beforehand they could have no way of knowing where in that sequence any particular play is located. Every modern machine is pre-programmed with a payout percentage. What this means is the proportion of funds generated by the machine which are returned to users during gameplay. The payout percentage remains the same throughout the machine’s life and is usually somewhere between 82% and 98% but can be as low as 75% depending on local and wider gaming and gambling regulations. As a big money spinner for casinos, they will generally have a great number of machines which may differ in their style of play and payout percentages. The one armed bandit came onto the gambling and gaming scene and took it by storm. More popular today then ever, they represent an easy opportunity in which to spend some leisure time and some money with the hope of some returns and look set to do so, with ever increasing elements of fun and interactivity.